Gabe and Harry Garavanian, twin brothers and owners of Garavanian Travel, have been in the travel business for more than 28 years. Our commitment is to provide the best possible service and experience for our clients. Gabe, (pictured to the right) is the account manager for our trip and is handling all of our tickets and hotel accommodations at the Leela Palace in Chennai. Carole Copeland Thomas, our trip leader, has done business with Gabe for almost 20 years. Gabe's wife (who often answers the phone) is Eileen Garavanian. Gabe is the New England Chapter President of the American Society of Travel Agents. Garavanian Travel has been awarded the Sandals Chairman’s Choice Award for being the “Best of the Best”. This award is given to the highest standing travel agencies throughout the United States. 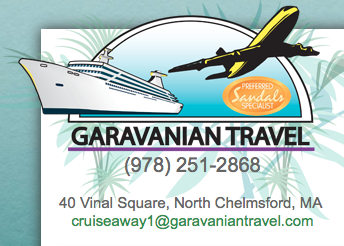 Garavanian Travel has also been selected as a Preferred Sandals Specialist. Carole Copeland Thomas of C. Thomas & Associates is a global diversity professional, and has been in business for 28 years. She has spoken or conducted training workshops in most of the 50 US States and traveled and spoken in 7 other countries around the world, including India. A Total of 38 will travel to Southern India from February 14 through 21, 2015. Destination: Chennai, Tamilnadu India and surrounding towns and villages. This is a SOLD OUT trip!! Orientation Conference Call #1 to the left is the audio recording of the one hour conference call meeting held on Tuesday December 9, 2014 in preparation for the upcoming trip to India. The special guest speaker is Gabe Garavanian, our travel agent. Orientation Conference Call #2 to the left is the audio recording of the one hour conference call meeting held on Monday January 12, 2015. The guest speakers are Ken and Lucilda Cooper who lived in India for three years. 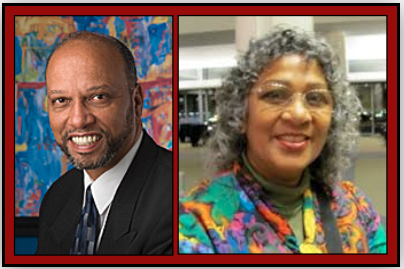 Click here to download Ken and Lucilta Cooper's bios. 508 947-5755 or email tellcarole@mac.com. About The Siddis. Africans in India.